The fourth Romanian semi-final will be held tomorrow night, and among the contestants, there will be Bernice Chitiul, aka Berniceya! When on stage, I feel more than at ease as if I was at home. I have a sort of feeling of peace in mind which derives from the fact that I am doing the right thing. I would resume my life story to: Musical birth, composing, unexpected singing skills discovered by my father while I was singing in my room thinking no one listens, competitions, further education in musicology at university in London with great depth in composition and singing and finally Masters in Advanced Opera. One would really make me angry by breaking my trust. One can make me happy by supporting me morally and whose word “yes” means “yes”. My taste in music has been very much influenced by the education that I received and the people who surrounded me throughout the time. From techno-pop music to classical then to experimental and Opera. Funnily enough, I listen to a lot of piano and cello music. I even know all the Chopin nocturnes. I received a book of Chopin nocturnes from a pianist about five years ago although I could not play the scores that well at that time. So I “read” it all over again, and again just like a novel… And again, and again… I loved it. So.. My taste in music would be quality. I think I arrived at the stage where listening to someone or aiming to be like someone has ceased. I will prove myself of being the way I am and sing my own style. There is one and only one Christina Aguilera, and that's it. How would you describe Too busy for my heart, your song for the contest? Too busy for my heart is a song that my father has composed for me. Everyone can find themselves within its message. Since we live in a world where technology is constantly developing, and creates a detriment of peoples' collaboration and cooperation progress, our society unfortunately does not find the real formula to make us more sensitive, attentive and loving towards our loved ones. How did you make the decision of entering Selectia Nationala this year? 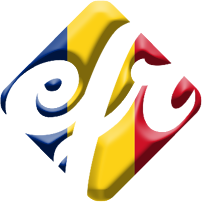 Since I am studying in UK, it is an opportunity to to keep in contact with Romania and my collaborators. Each time I come, everything seems to be the same as if it has been yesterday, nothing changes. Everything is the same. How would you make us want to come to Romania? One can experience anything in Romania. Beautiful people, hot and sunny summers, one can visit both the mountains and the Black Sea, lots of touristic places and interesting festivals. We have freezing winters too :) where we have lovely ice skating rinks, ski slopes etc. In conclusion, a nice place to be. It is quite simple, history tells us the future. The solid history based on serious competitors will bring to the light the best songs all over Europe. I am going to try and win singing the song with the feeling and the force that the message deserves. Bernice, thank you very much for this interview! She will be presenting Too busy for my heart in Turda tomorrow!